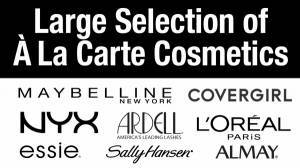 We Carry a Variety of Wholesale Cosmetics Liquidation Lots including major brands such as L’Oréal, Revlon, Maybelline, NYX & More. Cosmetics can be purchased in a variety of ways including A-La-Carte (min order 144 units), as Assorted Case Packs & Larger Volume Lots. We also have Pre-packed Flat Priced Cosmetic Lots. Review current availabilities & manifests. Assorted Case Packs of 250 units of New Overstock Maybelline Cosmetics. Partially Manifested. Pictures are just samples, please refer to the Partial Manifest above for approximate breakdown. Assorted Case Packs of 250 units of New Overstock L'Oréal Cosmetics. Partially Manifested. This listing is only for USA. Please check our International cases here. Each case will have an assortment of items. 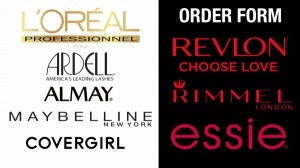 Revlon Case Lots include a % of Accessories also. This listing is for USA only. Large Selection of Master Case Cosmetics. They include brands like Maybelline, NYX, L'Oréal, Essie, Sally Hansen, Almay, Revlon, etc. Larger volumes are typically available - please call or email to inquire about large volume purchases. Larger volumes are typically available - please call or email to inquire about large volume purchases. Items are new in overstock & and retail-ready. There are 250 pcs per case. The case is not customizable - it includes the variety of colors and products described below. Please note: These items are for resale in the USA only. Pre-Packaged Master case Cosmetic Lots made of Maybelline, L’Oréal, Revlon, NYX & More. Review available lots to see what is currently available. Assortment breakdown is subject to change, please request updated file at the time of the order. Assortment breakdown is subject to change, please request updated file at the time of the order. New Overstock manifested perfume and cologne pallets. 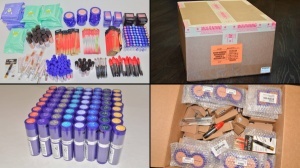 Items are in excellent condition, unopened and in original retail packaging, sealed with their protective retail plastic wrap. Each pallet will be one SKU. 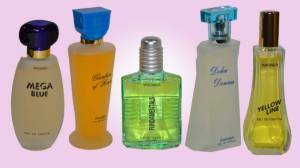 Please review the manifests to select the quantity and scent you want. Fantastic item for flea markets, discount stores, yard sales, wholesale, and online! Please note: As a result of international hazardous material restrictions, these can only be shipped within the continental US. 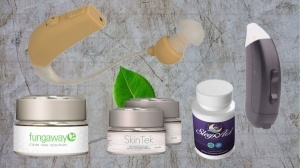 This liquidation includes an assortment of New Overstock hearing aids, acne defender, sleep aids, probiotics, and skin care products. This is an opportunistic liquidation of an assortment of approx. 33,372 New Overstock units of hearing aids, sleep aids, probiotics, and skin care products. The load includes: Wonder Hearing Aids, Marvel Hearing Aids, Acne Defender Advanced, Sleep Aid Pro, Vita Nerve, Probiotic, DermaTek Mole Remover, SkinTek, & Fungaway. Please review the manifest for details on the quantity per model. The goods range in Wholesale value per unit from $4.32-$10.83. The total Wholesale Value of the the load is almost $170,000. Asking 15% of Wholesale, or approx. $0.76/unit for a total of $25,472.15. Great Items for Retailers, Wholesalers, Online Sellers, & Export! Assorted Case Packs of 300 units of Shelf Pulls. Only for Domestic shipments. Assorted Case Packs of 300 units of Shelf Pulls. L'Oréal, Maybelline and Sally Hansen Cosmetics (Foundation, Nail polish/care, Blush, Eye liners, Mascaras, Eyeshadows and more). Nail category will be a combination of nail polish, nail care polish/creams, pedicure accessories and nail strips. 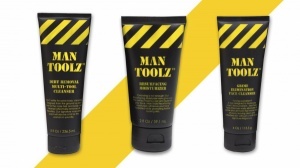 This is an opportunistic liquidation of 6400 units of assorted Man Toolz™ Men’s Skincare Products. The loads includes 2200 units of Men’s Resurfacing Moisturizer (2oz), 2100 units of Men’s Facial Cleanser (4oz), and 2100 units of Men’s Body Wash (8oz). Goods best by date is July 2019. The goods retail prices range from $9.95 - $12.95 per unit. The total reatil value of the load is $76,680. Your price is $7,475, or $1.17/unit. Great product for Retailers, Online Sellers, Discount Stores, Flea Marketers, and Export! Don’t just clean, resurface. Use our Resurfacing Moisturizer twice a day on your face, it's the perfect product to protect and nourish your skin all day. After cleansing or after shaving, the combination of vitamins, plant and fruit extracts serve to promote moisture retention on your skin cools while making your face soft and oil free. Cleanse, moisturize, go. Use on your face both in the shower or anytime it needs refreshing. With gentle cleansing and great moisturizers, our grime eliminating face cleanser is perfect to clean your face without leaving it dry. The anti-oxidant blend along with coconut oil ingredients achieve this perfect balance. Toss your soap and shampoo, don’t settle for basic cleaning. Our 2 in 1 multi tool cleanser contains moisturizers and extracts to leave your body and hair feeling clean and refreshed. The signature masculine scent adds that finishing touch to complete your shower. 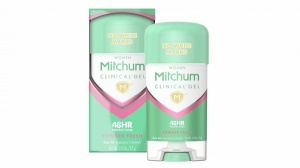 Mitchum Clinical formula now in gel form Advanced protection against wetness and odor, 48 Hour Protection Goes on clear, with no white marks. 42 units per case, 24 cases. 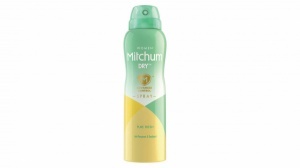 Mitchum For Women Dry Spray Antiperspirant & Deodorant - Advanced Control - Pure Fresh. 84 units per case, 12 cases. Opportunistic liquidation of approx. 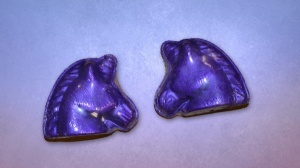 43,056 units of New Overstock Purple Unicorn Bath Bombs. This liquidation includes approx. 43,056 units of New Overstock Purple Unicorn Bath Bombs. There are 15 pallets total. 6 pallets, or 25,056 units, are packed in their original master cartons. Each master carton has 48 pieces, and each one of these pallets have 87 master cartons. The master carton dimensions are 31.5 x 20.5 x 37cm and weighs 7.6 kgs. 9 pallets, or 18,000 units, are packed loose in gaylords. Each gaylord will have approx. 2,000 units. All individual units are wrapped in plastic. Goods were manufactured in November 2017. Your price is $0.25/unit, or $10,764. Great product for Wholesalers, Chain Stores, Online Sellers, and Export!